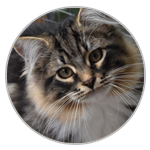 We are a family cattery, we breed siberian cats. 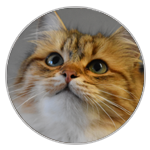 We are holder of CETAC (french certificate pets capacity), we are registered at L.O.O.F (Official French books of Cats Origins). We are located in south of France, near to Castres (Tarn - Midi-pyrénées), about 1 hour from Toulouse. 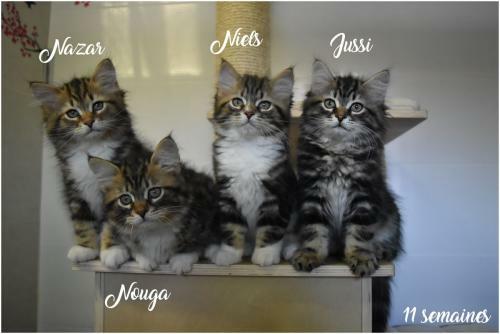 The kittens from N2 Litter, (Parent's Izhora & Charming) are now 6 weeks old! 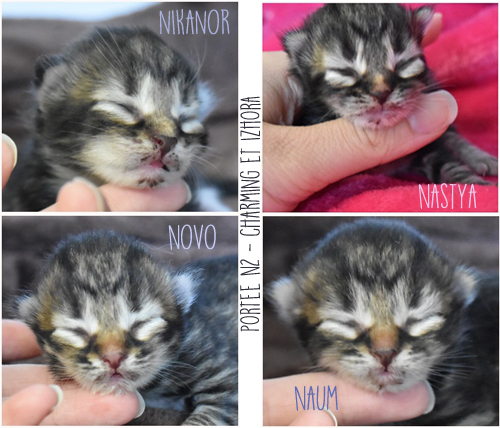 Nikanor and Naum are still looking for new homes. Kittens are 12 days old! Our little princes and princess are 12 days old, everyone opened their eyes! We move and grow very fast! See new pictures on "Kittens" page! Wednesday, Charming been HCM tested by sonography a second time, results are clear! Maksimus also been tested for HCM and PKD (sonography) results are clear! Our Kittens are now a couple of days old! Everybody eat well, mom's milk is very good! 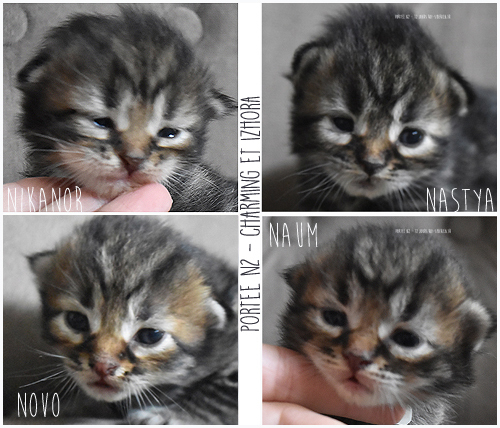 Nastya is the princess of the litter, she opened one of her eyes today at 6 days old (pictures are from yesterday! 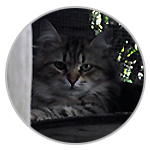 ), she has a lovely nose in the shape of a heart, she's brown blotched tabby! Nikanor, is the copy of Charming (his dad) and Maksimus (his older brother), he's the biggest yet! Naum is a lovely prince, same color as his mom, has a nice soppted marking! Novo named after the city of Novossibirsk, his weight is pretty close to Nikanor, he's a brown spotted tabby like mom and Naum! We are happy to introduce our new princess from Finland, Salli! 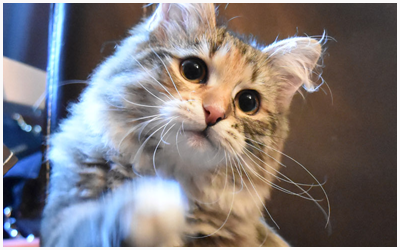 She's a very lovely girl, spend her time playing, purring and make cuddles with everyone! Also, we are happy to announce a new litter were born yesterday, from Izhora & Charming, pictures and gender to confirm soon! 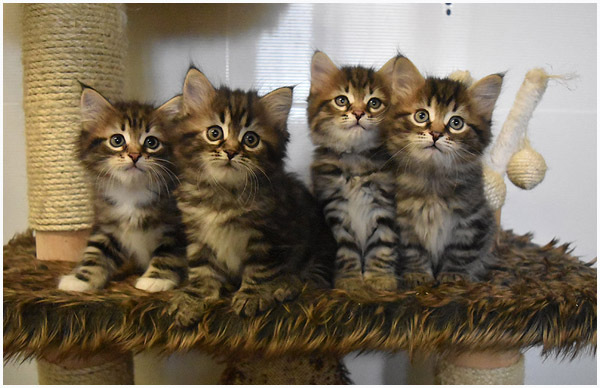 Our kittens are 11 weeks old!